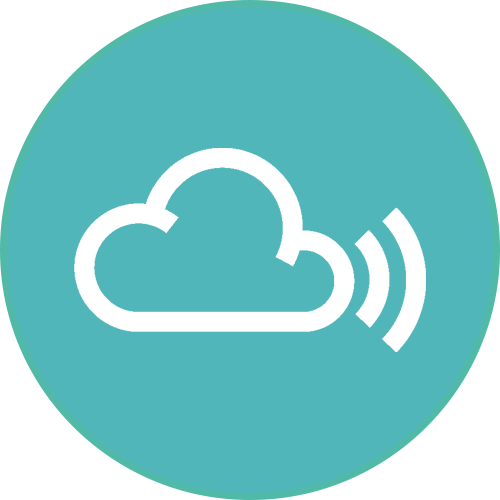 Generally speaking a desired feature with cassette tapes is that they are easily playable. 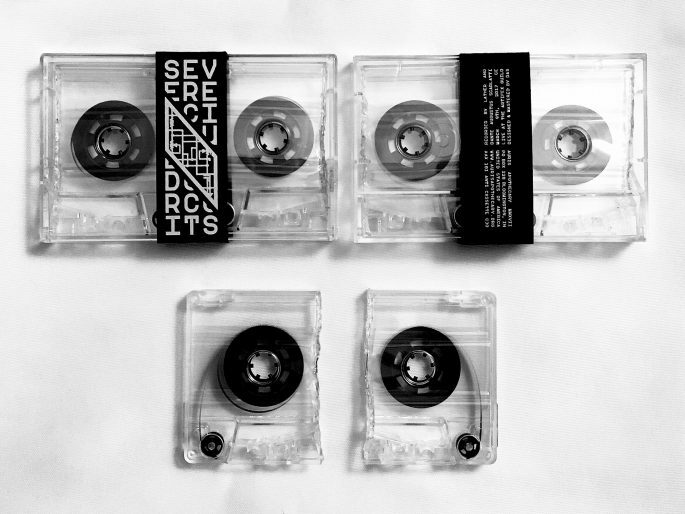 A dowsing of variants exist, but ideally someone producing a cassette would use high grade magnetic tape, employ real-time or professional duplication, and pack that sucker in a fresh Norelco case. Nowhere during that process would rotten meat or sand make an appearance. Those materials are far from industry standards (I checked). The cassette industry newsletter must have went straight to Auris Apothecary‘s spam folder. Ooops! The Indiana-based label has a long and strong catalog traversing the freeway of possible formats: vinyl, CDr, runs of NES OST tapes, floppy discs, reel-to-reels, etc… They also have a reputation of taking the exit ramp and voyaging the roads far less traveled. The ones paved with rotten meat and sand. I’m talking about anti-cassettes. Standards are just shy of using a cleanroom and wearing one of those full-body suits (booties to hood style) for their anti-cassette process. 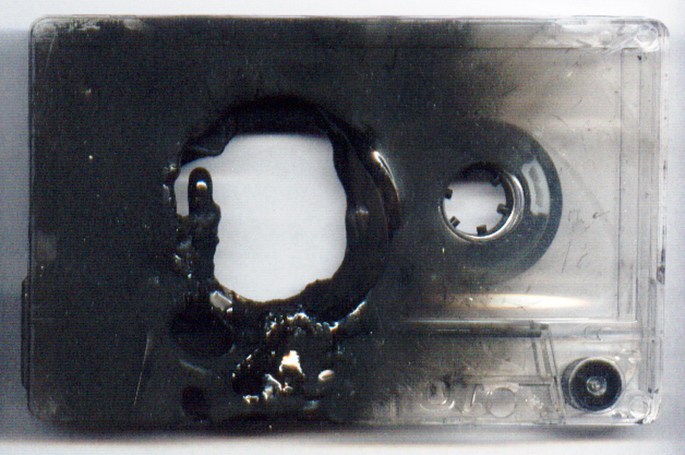 While working on “Siberiliszt Inferno” by Unholy Triforce in 2015, a cassette that was literally melted – Melted! – caution was taken not to touch the tape reels. Imagine getting a molten ball of tape and thinking “Let me make sure no one touched the reels!” Up to 71 people may have done that. Prototypes for the “Baptism” anti-cassette C30 by Rob Funkhouser ran into a unique snag when the water that the tapes were submerged in became cloudy from rust. 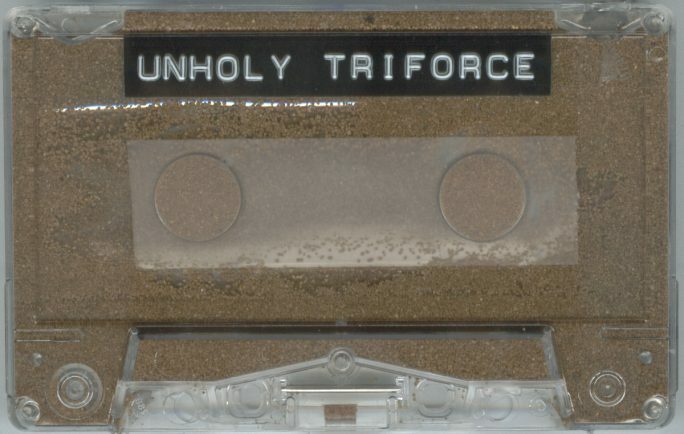 “We removed the metal and felt pieces” Dante said of the solution, noting an attempt to avoid “compromising the magnetic materials.” That helicopter parenting is what sections off Auris Apothecary’s anti-cassettes from something like “Wind Licked Dirt” by The Haters, an anti-cassette released by Hanson that is played by rubbing it in dirt. Not that there’s anything wrong with that! “Some are harder than others to play back, but none of them are impossible, and they all contain unique music written for the release. Viewing them as “art objects” and never listening is like owning a book for the cover art but never reading it.” The level of difficulty ranges from beginner to expert. If you only feel comfortable toweling off hot sauce and unfurling 50 square feet of aluminum foil, you’re in luck. Maybe you want to tackle a sonic-welded (no screws) tape with toothless spools. Go for it! Or just put the entire damn thing together yourself.